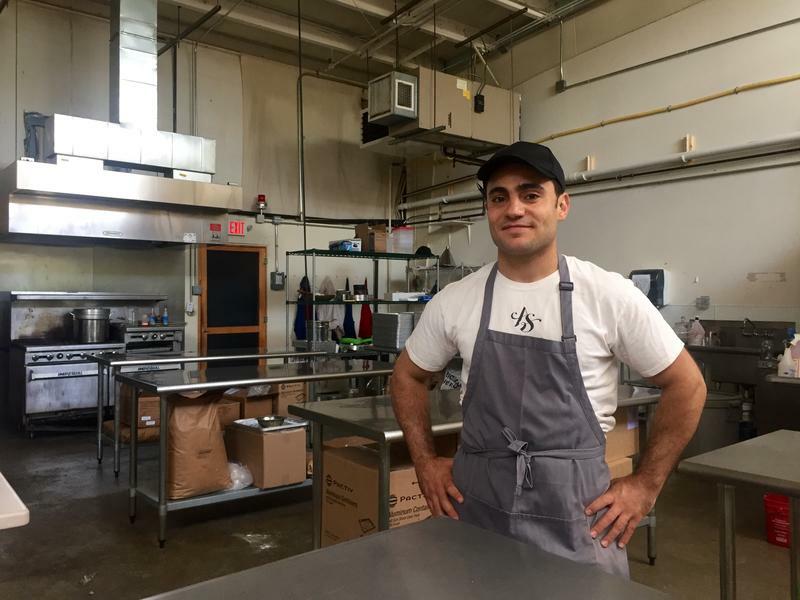 Ahmad Aissa is hoping to soon sell his "Aissa Sweets" pastries, which are mostly distributed wholesale at the moment, from the bright storefront he recently moved into in Concord. The pastry business is largely a one-man show — Ahmad Aissa says he mixes, bakes, packages and ships about 500 pounds of pastries a week. The pastries are sold at stores across New England, as well as at Whole Foods locations in the region. Aissa Sweets offers several types of baklava, as well as traditional "ma'amoul" cookies — typically filled with nuts, dates or other dried fruits. 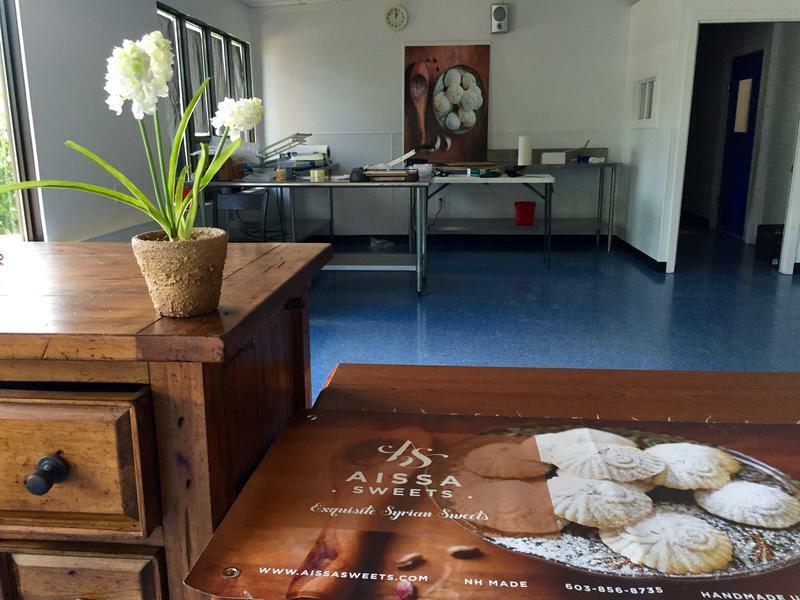 Aissa Sweets started out in a shared kitchen in Dover, but its newest location is just on the outskirts of Concord. 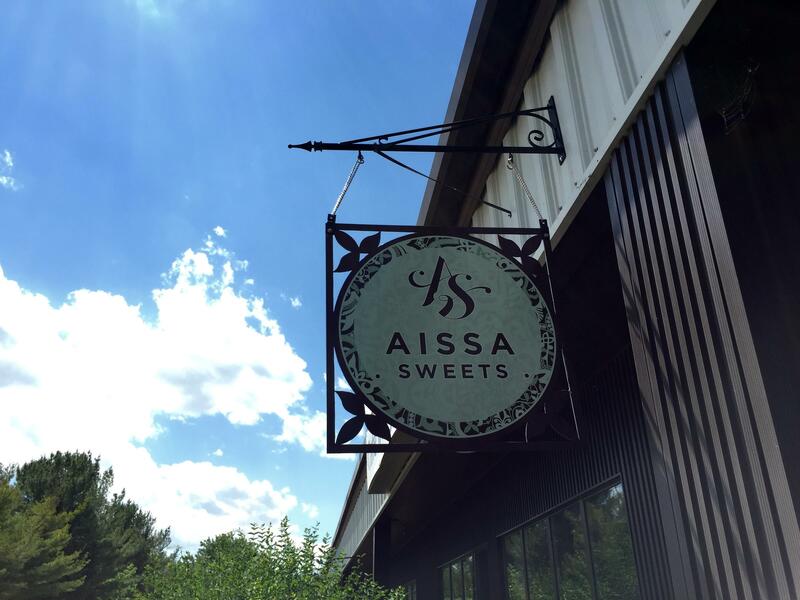 In this week's installment of Foodstuffs, our weekly look at food culture in the Granite State, we visit Aissa Sweets — a burgeoning pastry business based in Concord, whose owner draws upon his Syrian heritage to craft homemade sweets sold at stores across New England. Ahmad Aissa still gets kind of flustered when he thinks back to the first time he walked into a store — Philbrick’s Fresh Market in Portsmouth — to see if they might like to start selling his homemade baklava and other sweets, like the kind he used to bake back home in Syria. “I was on the way shaking – driving and shaking – like, what do I say. Thinking of terminologies, and all language terms and all that," Aissa recalled, laughing and shaking his head. "My English was, like, really bad. And I talked to them, it was funny. Everybody was smiling, and we joked around — although I didn't understand most of the jokes." But luckily, Aissa added: "I ended up with a sale." And there have been plenty more in the four years since. 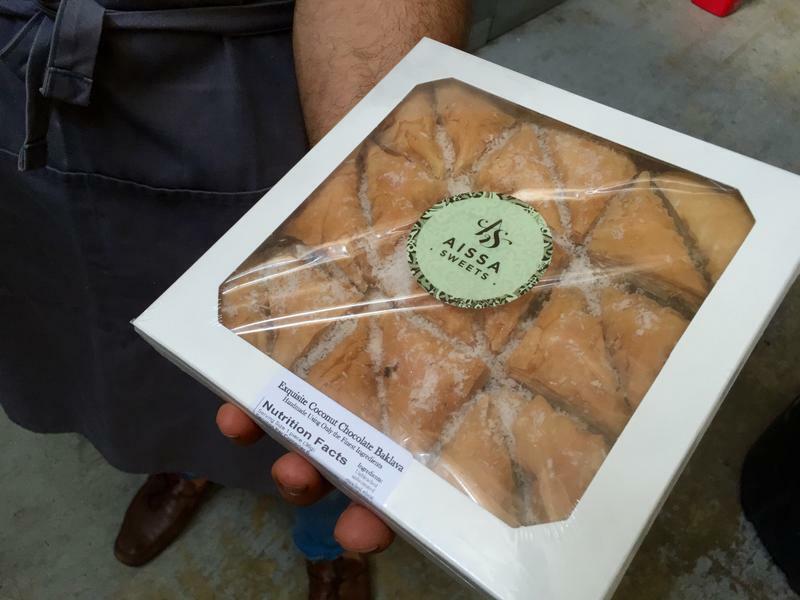 Today, you can find his "Aissa Sweets" pastries at stores across New England. For about the last two years, they’ve also been sold at Whole Foods locations throughout the region. And as Aissa's client base has expanded, his menu has, too. He’s also working on two new kinds of cookies — “one of them’s stuffed with raspberry paste, he other one’s a cream-filled carrot cookie” — but he’s still perfecting the final recipes before those are ready to hit the shelves. Aissa started his pastry business shortly after moving here with his wife, a New Hampshire native, in 2011. The couple left Syria just as the country was on the cusp of the devastating civil war that continues to this day. To Aissa, the bakery business seemed like a good way to settle into his new life while still staying connected to the his culture back home. “It’s been very positive. People are very into ethnic food. They like trying new stuff – they’re open to try different cultures," he said. "Plus, there are a big community of Greek, Lebanese, Syrians, Middle Easterners, Turks, even. 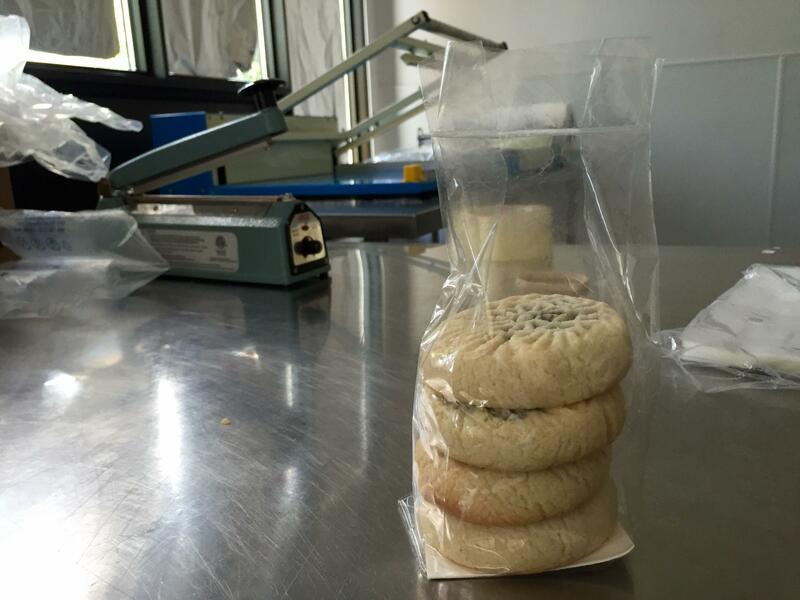 They always purchase our baklava and I meet with them on a regular basis when I do demos." When he first started out, Aissa did most of his baking out of a shared space in Dover. But his current headquarters — nestled in a small industrial park on the outskirts of Concord — gives him plenty of room, all to himself. Here, Aissa has a wide, open kitchen – where he does most of the mixing, baking and packaging on his own. There’s a loading dock for sending out large batches to the stores he supplies, though he still has to personally deliver some of his shipments. That means carefully preparing and shipping out some 500 to 600 pounds of pastries in any given week. And, soon, Aissa hopes to be able to start selling his pastries from the bright, open storefront right where he does his baking. Aissa’s also hoping to hire some more help in the coming months — but for now, it’s a labor of love. And a way to provide a more positive representation of his Syrian culture, to counteract the negativity he so often finds in headlines about his home country. "I do my best. At the end of the day, I’m just baking," Aissa said. "I wish I could do more to be more active or more positive. I’ll always try, of course." This warm weather means farmers markets are moving outdoors again, offering up all kinds of products grown and made here in New Hampshire. Jim Ramenack of Warner River Organics has been participating in a variety of farmers markets around Merrimack County. 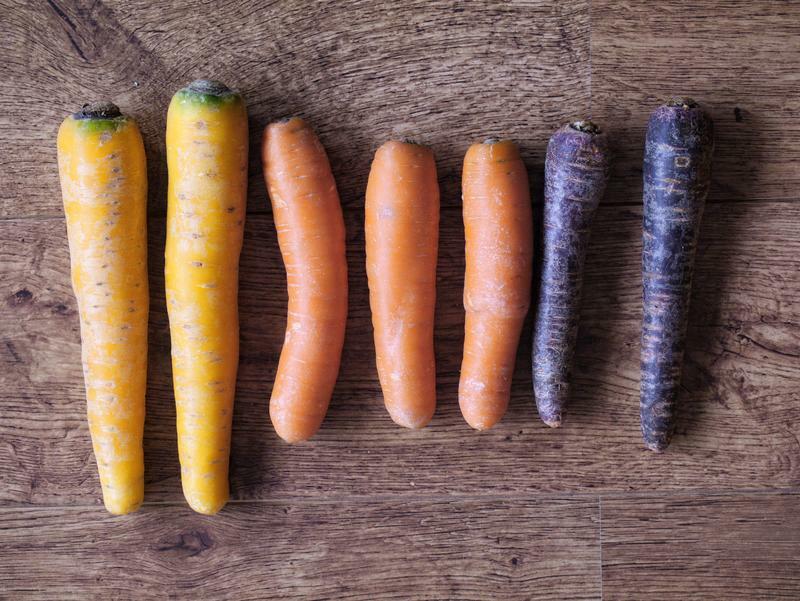 He talks with All Things Considered Host Peter Biello about how New Hampshire farmers markets have changed over the years. 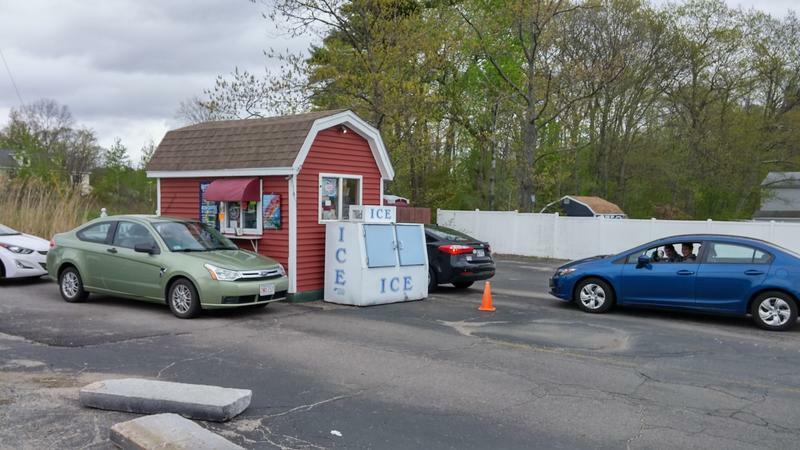 If you’re on the road, looking for a place to stop and get a cup of coffee in New Hampshire, you’ve got plenty of options: Dunkin Donuts, McDonald’s, every single gas station. For this week’s Foodstuffs, we visit a tiny, drive-thru coffee shop in Newmarket that's managed to carve out a niche despite this crowded field. Brothers Donuts in Franklin has some pretty odd hours of operation: 3 am to noon, Mondays through Friday, with a 2 am opening on Saturdays. But it’s worked. The donut shop has been open for the past 35 years. And for 33 of those, it's just been one brother in the kitchen. There's a spring tradition that's been building over the last few years: Peeps diorama contests. 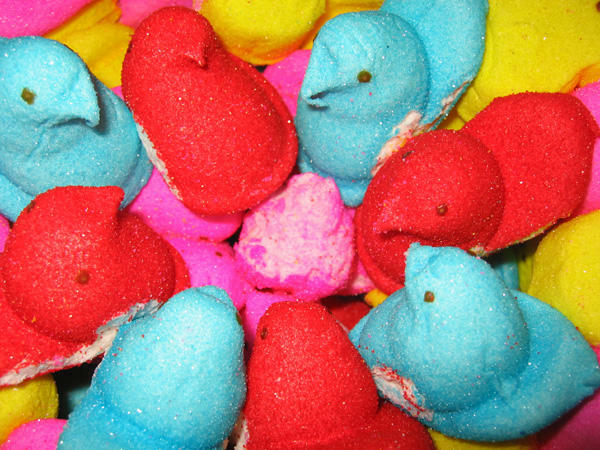 Participants use those marshmallow birds and bunnies to put together all kinds of wacky and creative displays.